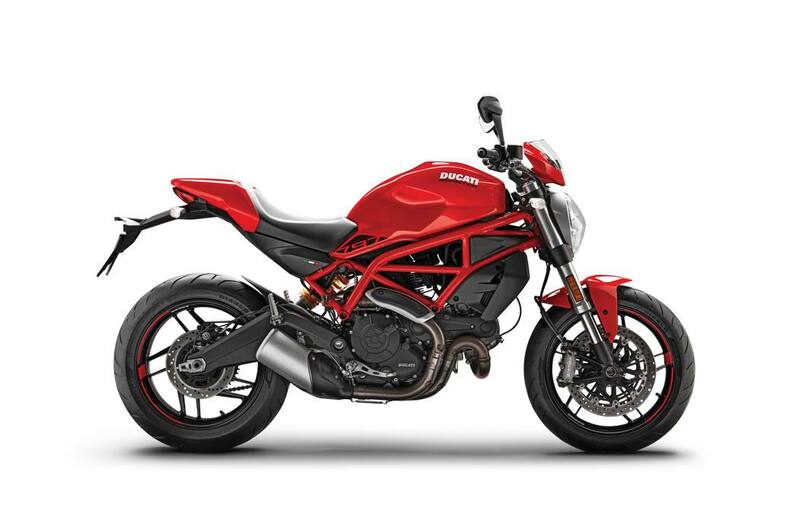 Sporty and compact: The new Monster 797+ design perfectly integrates wide handlebar, tank, trellis frame, engine and double-sided swinging arm - an agile and dynamic line that communicates sportiness and generates confidence from first glance. Thanks to the new graphics the Monster 797+ acquires a new, original style. An enjoyable, gutsy engine: The Desmodue twin, with 73 hp and 6,8 kgm of torque, ensures riding enjoyment in maximum safety. The constant, fluid torque curve immediately instils confidence without creating any difficulty. Carefree fun is guaranteed! The new Monster 797+ is also available for those with a restricted licence, as a version with 35 kW of regulated power. Versatile on any terrain: The new Monster 797+ chassis is designed to ensure maximum ease of riding. Compact dimensions, a low and narrow seat, a wide handlebar and reduced weight make it agile in city traffic and sporty on out-of-town roads. 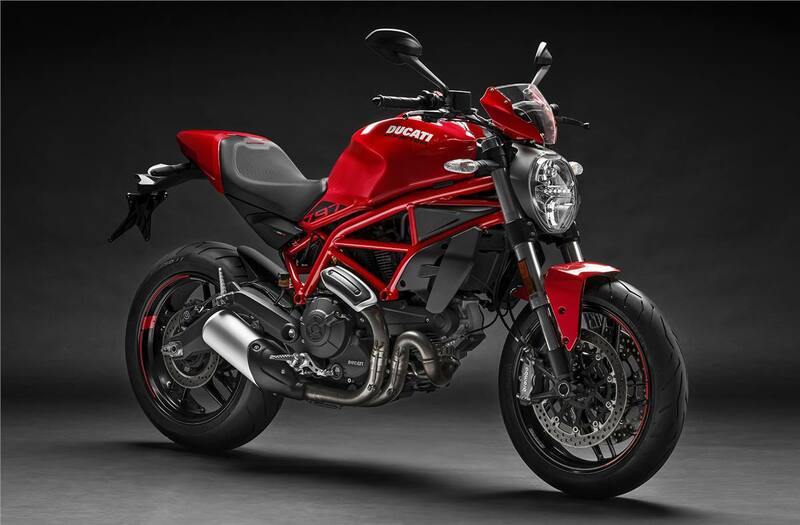 Turn up the fun: The new Monster 797+ boasts a modern and complete range of equipment. The large LCD hi-vis screen of the dashboard provides all the information needed for riding, while LED technology enhances thepositioning light of the front headlight, rear light and licence plate light. 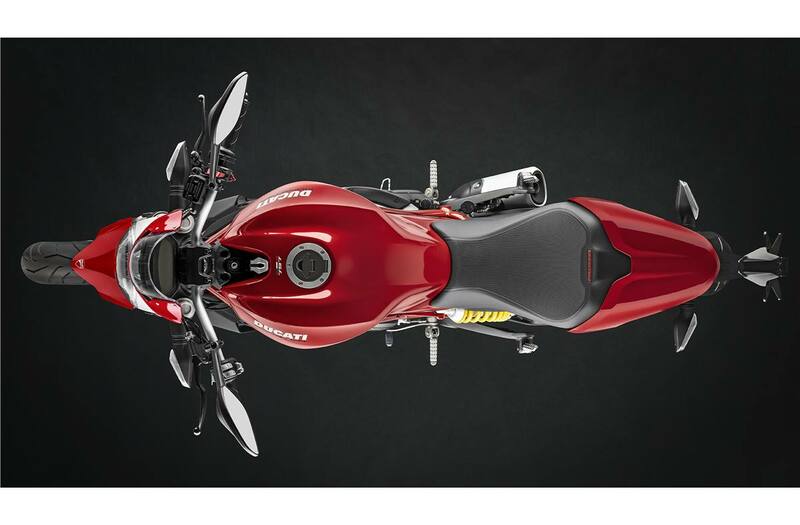 Standard Equipment: The Monster 797+ boasts a distinctive look, thanks to standard equipment that includes the front fairing and the passenger seat cover, which both match the tank and front mudguard. 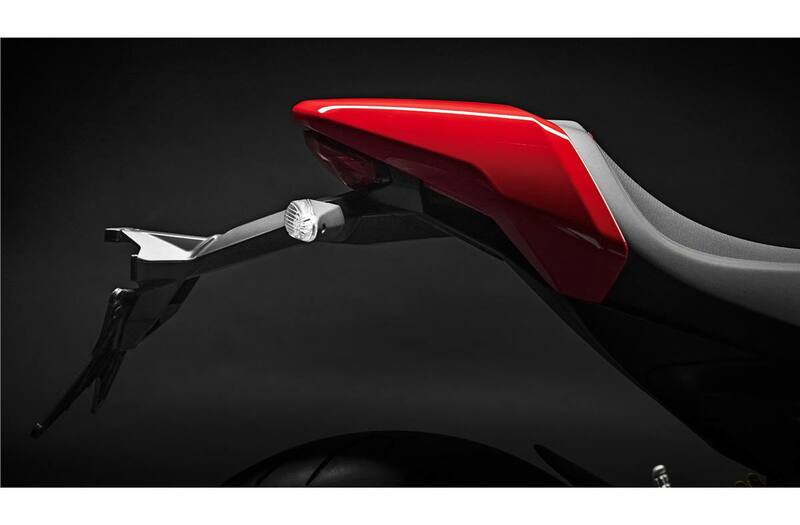 This equipment enriches the lines of the Monster and improves riding comfort thanks to the front fairing that optimizes the rider’s aerodynamic protection.